The beauty and excitement of California means it’s the perfect place to learn English. There are lots of interesting things to see and do in the Bay Area, which includes San Francisco, Oakland, and Berkeley. These cities are full of energy during the summer, and it’s easy to create lifelong memories when you study English in the area. It’s a popular destination for young students from around the world, which means you’ll meet lots of interesting new people. Classroom instruction is important when studying English. It’s also a good idea to study in a place where you can practice new words and grammar during activities and trips. 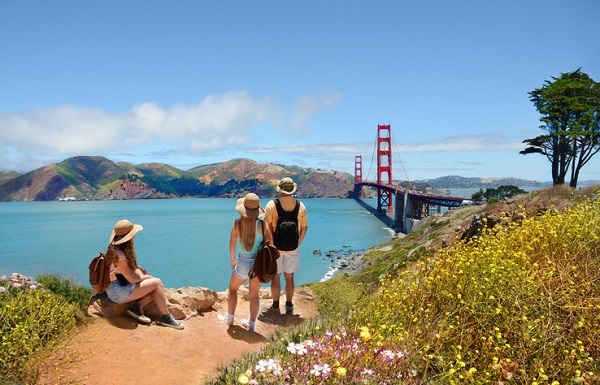 Let’s take a look at five different ways you can enjoy summer in California and practice your English too. The Golden Gate Bridge is the most famous landmark in San Francisco. It can be seen from many parts of the Bay Area, and crossing the bridge is a great experience during the summer. Thousands of people cross the bridge every day by walking or running. It’s also easy to rent a bike while completing ESL training in California, which means you could also bike along the Golden Gate Bridge! When standing on the bridge, you can enjoy a great view of the hills and tall buildings in San Francisco. You can also see the famous Alcatraz prison, which is on an island in the middle of the water. In San Francisco, it’s easy to find music that you will like, and lots of concerts take place outside during the summer. The Golden Gate Park Band plays great music between July and October, and it’s completely free! There are also festivals for jazz, punk rock, reggae, classical, and blues music. 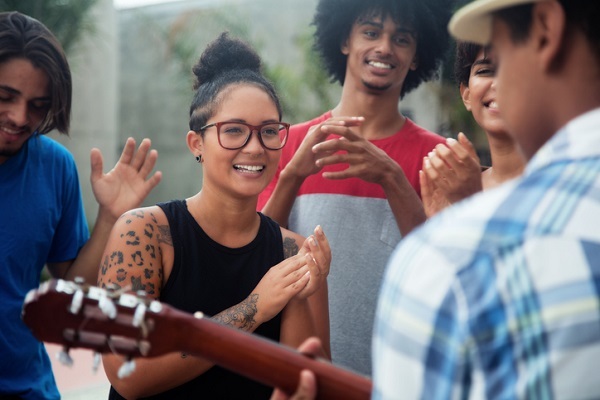 California loves music, which makes it a wonderful place for ESL students to have fun with new friends and practice their English. San Francisco and Oakland are surrounded by water, which means there’s plenty to enjoy along the coast during the summer. Pier 39 is a famous attraction with many great restaurants and shops to visit. On a warm summer afternoon, visiting Pier 39 can be a fun activity to try. You can even watch the sea lions that play in the water, and learn more about local sea creatures in the San Francisco Bay Aquarium. There are lots of fun activities for ESL students to enjoy at Pier 39, and you can even get on a boat and travel across the bay! Summer is a great time to taste new food in the sunshine. 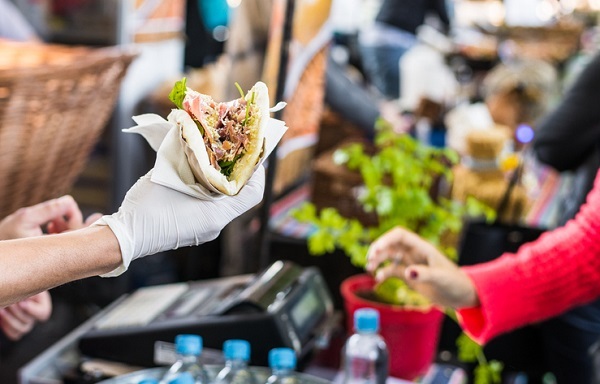 In fact, there are many great food festivals in San Francisco and Oakland where you can try delicious local items when studying English as a second language. There are food festivals for oysters, lamb, and much more. In addition, ‘Eat Drink SF’ is a three-day event in August which includes 160 chefs, restaurants, and bars. This is a great way to try the best food in the Bay Area while meeting interesting new people and practicing your English. San Francisco, Oakland, and Berkley also offer plenty of fun and affordable activities for students to enjoy. There are many great free walking tours, where you can learn about the Golden Gate Bridge, Chinatown, Japanese Tea Garden, and a lot more. In addition, you can also visit San Francisco’s best museums for free on specific days of each month. This will allow you to see wonderful attractions like the Botanical Gardens and Asian Art Museum without spending any money! On a rainy day, a trip to a local museum can be a wonderful activity to try. There is always something fun to do at ESL school in California. Learn more about the great courses at English Studies Institute.